Choosing the right point of sale (POS) system is vital for small businesses. With the right point of sale system, small businesses can manage and control business expenses with greater proficiency, have a better understanding of what products sell best and then refine their stock accordingly, track product results and performance and engage customers and prospective customers with loyalty rewards. With a wealth of point of sale systems and software available, how does your small business choose the right one for your unique needs? Small Business Trends has identified 28 point of sale systems small businesses could benefit from. Brilliant POS enables business to replace standard cash registers with a stand-alone terminal, a receipt/label printer and a barcode scanner. With the Brilliant POS system retailers can make payments, manage time sheets, track inventory, run reports, and more. With cloud backup and offsite access, Brilliant POS removes the worry of losing data if a device is lost or stolen, as all the data is stored securely on the Brilliant POS servers. Vend is the United States’ leading retail POS software, dedicated to making it easy for retailers to sell to their customers. Working with leading merchant providers from around the world, Vend allows businesses to choose the best way to accept payments, including debit, credit and gift cards. Vend enables ease of sale, regardless of whether retailers use Vend’s responsive web-based POS on PC, Mac or the Vend Register iPad app. Vend offers a range of pricing structures. Its Starter package is designed for a single outlet with three users. The Advanced payment is for a single outlet with unlimited users. The Multi-Outlet structure can be used by multiple users. As well as POS capabilities, Revel comes with a host of other features to help simplify business processes, including QuickBooks integration, analytics, payroll management and appointment scheduling. A standard Revel POS terminal includes an iPad, payment device, POS stand, router, Wi-Fi access point, POS printer and a secure cash drawer. Revel offer POS solutions for diverse businesses, including retailers, restaurants, sports stadiums, self-service kiosks and convenience stores. 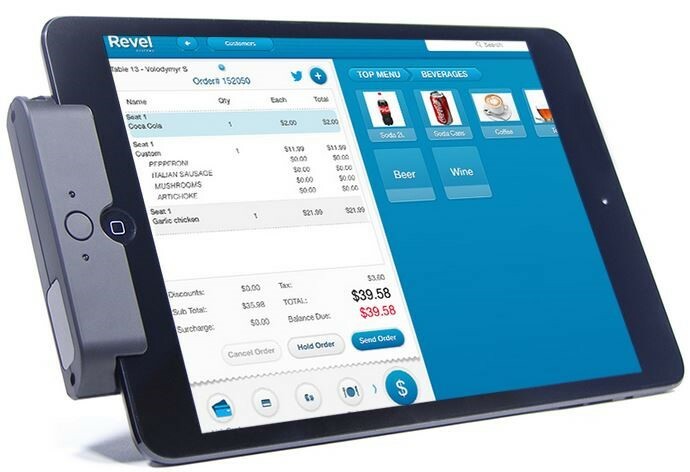 Interested businesses can get a quote from the Revel sales team for a customized POS solution. Tillpoint is an award-winning and complete cloud-based POS system that provides an easy-to-use and effective solution for retail, hospitality and service-based businesses. The Tillpoint package includes everything a small business will need for seamless POS integration, including the software and hardware required to start trading straight away. POS Nation offers retailers a POS system that can be tailored to their specific needs. Users can customize the system, choosing the software, hardware and peripherals needed to optimize productivity and profitability. POS Nation allows businesses to manage different aspects of operations, from finances to inventory, and gain the insight to make better business decisions. Shopify is an inexpensive POS for businesses. With an easy-to-use interface, Shopify does not require much training. Mobile POS is available with Shopify as the system works on iPhone and iPad. A three-tiered payment classification, includes Basic Shopify, designed for start-ups, Shopify to assist growing businesses, and Advanced Shopify, for scaling businesses. ShopKeep is a POS system designed for retail, quick serve, restaurant and bar and franchises. ShopKeep can be used for payment processing, inventory management, transactions, customer marketing, staff management, reporting and analytics, and more. ShopKeep’s hardware comprises of iPad enclosures, cash drawers, printers, readers and other robust hardware to cater for the needs of modern businesses. Unlike other POS vendors, which offer tiered payment structures, ShopKeep touts a standard price. Skubana helps online retailers deliver seamless transactions by providing a smart POS solution. The system automates and streamlines all your business transactions, including purchase orders and fulfilment workflow, to create more efficient and intelligent business operations. Acme Point of Sale is built specifically for retail. Fighting credit card fraud at the point of sale is a leading priority for all retailers. Acme offers secure payment solutions with any device. The Acme Wonder Bundle includes point of sale software, a 7000 Series Touch Screen Windows 10 computer with Intel Inside, a choice of Aggressive Built-in or external bar code scanners and a high speed/ hop swappable receipt printer. Square is a POS system that’s designed to grow as a small business expands. This powerful POS platform enables businesses to make payments, digital receipts, open tickets, inventory, reports, and more. Square is designed for every type of business, regardless of the industry. The system is free to download and can be used as a mobile POS on a smartphone or on a tablet at a counter. Cashier Live offers smart online POS software solutions for retailers. Businesses can access the software via the internet, or though iPad or iPhone apps. Cashier Live’s software help businesses ring up sales with ease, as well as tracking inventory, managing staff, accessing data and generating reports. This POS system boasts special features for retailers operating hardware stores, pharmacies and boutiques. Cashier Live users receive unlimited registers, unlimited inventory and unlimited support. Restaurateurs might be interested in TouchBistro, an easy-to-use and affordable POS system designed specifically for the needs of the restaurant industry. Mobile payments are becoming a key feature in modern payment systems, and TouchBistro is compatible with the iPad, giving restauranteurs additional flexibility. The POS system provides 24/07 support and a number of pricing structures, ranging from the Solo plan to the Unlimited plan. Bindo is a POS system for the iPad which helps retailers and restaurateurs manage their business easier with a cloud-based POS. From invoicing to time clocking, Bindo has more than 300 features designed to streamline business operations. 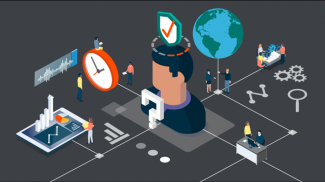 The system provides actionable analytics, detailed metrics, which are neatly presented to provide businesses with an understanding of how improvements can be made. Bindo’s hardware includes everything from barcode scanners to scales, which are supported by the Bindo’s comprehensive point of sale system. Bindo offers a flexible pricing system, which can be custom-built depending on a business’s specific needs. Formerly known as iConnect, Franpos provides POS solutions with comprehensive features to franchise businesses. Franpos’s point of sale system is sleek and powerful, designed for everyday operations. The POS provider also pairs the right software with great hardware, eliminating the headache of making important POS software and hardware decisions. Springboard is a powerful, cloud-based POS software and management system for retailers. The platform is designed to help retailers sell more and sell smarter. The intuitive and easy to use point of sale system works on mobile and desktop devices and being cloud-based, allows businesses to access key data whilst on the go. Springboard offers a flexible and scalable, three-tiered payment structure. 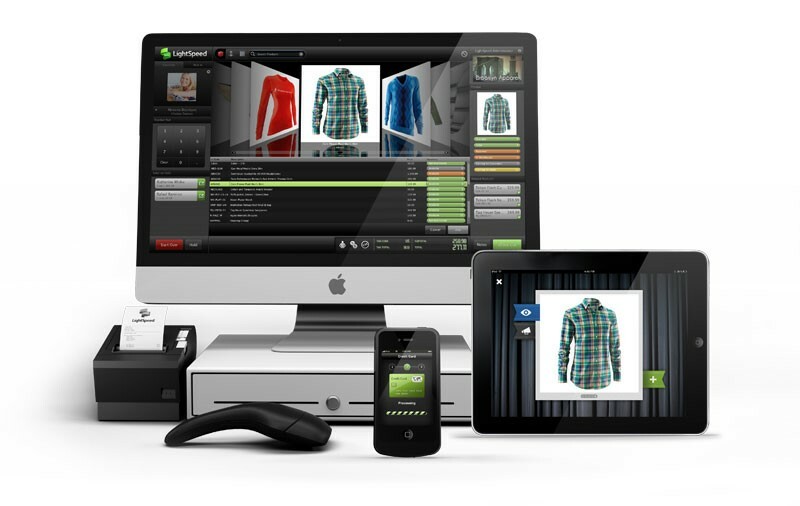 Gotmerchant offers a fully loaded Harbortouch POS system for restaurant and retail businesses. 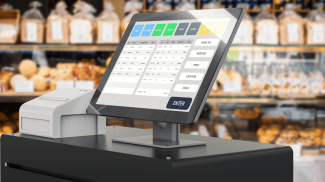 This fully-inclusive POS system includes all the basic hardware and software required for an effective point of sale system, unlimited training, professional on-site installation, lifetime 24/7 technical support and other features designed to help small businesses revolutionize business processes with no start-up cost. Lavu is a POS system for the iPad for coffee shops, food trucks, restaurants, pizzerias, bars and other types of catering establishments. Lavu states it offers premier point of sale technology, which is designed exclusively for restaurants and bars. Some of the key benefits of using the Lavu system, include industry-leading payment processing rates, 24/7 US-based customer care, menu and restaurant layout customization and shift scheduling for easy clocking in and out. Lavu offers flexible payment plans to cater for different small business budgets. Lightspeed is a point of sale and ecommerce provider based in Montreal, Canada, providing small and medium-sized businesses in the retail and restaurant sectors point of sale solutions. Lightspeed is dedicated to helping local businesses succeed through a reliable and intuitive POS software and a store management system. Retailers and restaurants can benefit from comprehensive data analytics and sales processing. Lightspeed offers three pricing options. Bluestore Live offers retailers a flexible point of sale system that can run on different hardware. At the heart of Bluestore Live is an admin console, in which a business’s data is securely stored on BlueStore’s servers living in the cloud or the company’s own private URL. From the console, retailers can create products, check stock, change prices, run sales reports, and more. Bluestore Live has a simple pricing system starting with a basic plan of one terminal per store. Tiger POS is a point of sale platform that has been built for store owners by store owners, specifically for liquor store owners. This affordable POS system has an age verification feature, as well as shelf labeling, reporting, security camera integration and purchasing and receiving capabilities. ePOS is a comprehensive point of sale system for the hospitality and retail industries The POS is available on mobile iOS and Android devices, as well as PCs and Macs. ePOS system is easy to use, and staff can be trained on it in 15 minutes. Real time reports can be generated and monitored from anywhere. The POS includes a payment system, online ordering platforms, accounting systems an CRM. PayPal Here is a credit card reader and mobile app that can be downloaded onto an iPad, Android or Windows device, providing a solid POS system for businesses that enables credit card processing. The system features automatic invoicing, barcode scanning, debit card PIN processing and digital receipts. Quickbooks’ point of sale is EVA-ready and is designed to support the most updated payment technology. 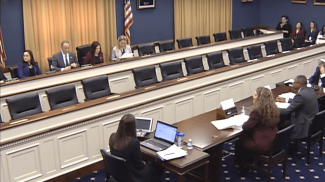 Small businesses can take advantage of simple credit card processing, which is integrated with Quickbooks and encrypted for the protection of the business and its customers’ data. Interested businesses can give Quickbooks’ POS a free trial and pricing is dependent on the hardware and software bundle a business opts for. SWIM offers a POS system for businesses operating within the jewellery sector. Designed for an iPAD, this POS assists jewellers with sales processing and the management of their business. Features are specific to the jewellery business and include stock counting, instant quotes and custom orders, as well as various marketing tools. SWIM offers four different pricing structures, starting with a month of trialling the software to the highest plan that includes unlimited sales and inventory items. Toast is an all-in-one management solution for restauranteurs. The system provides delivery tracking, real-time reporting, online ordering, and more. The Android POS system is fully customizable and is available to eateries of all sizes. This POS software, designed to increase the profitability of restaurants, provides 24/7 support from a U.S-based support team. Booker’s point of sale system ensures a small business’s customers are left feeling satisfied by using an effortless checkout system. 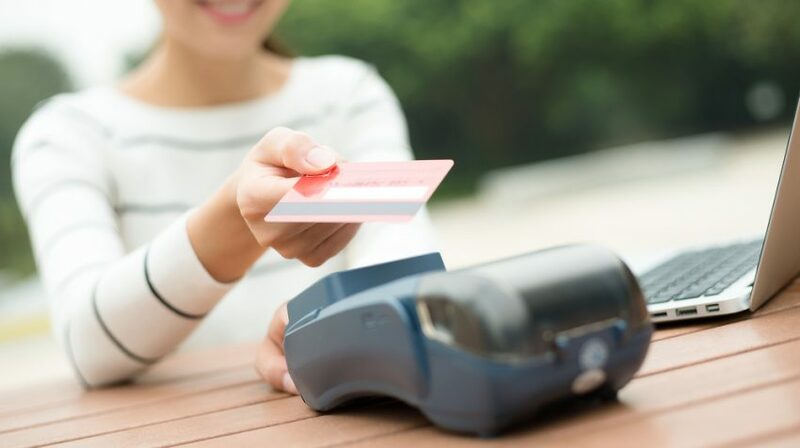 The system connects with your credit card processor so transactions can be processed in real time. As well as being able to track customer purchases over time, Booker allows you to connect your POS with customer profiles to process payments using a card on file for incredible fast and efficient transactions. In 2014 MyCheck announced full integration into POSitouch Point of Sale software. This payment technology platform enables brands to increase engagement with customers and customize their digital experience. MyCheck’s POS integration requires no special hardware and provides unique reporting tools. MyCheck provides a pay-as-you-go pricing model in which businesses can choose the specific capabilities they require from the system. SlickPOS provides quick and easy-to-use POS software for restaurants, cafes, food trucks, and other dining venues. The SlickPOS system can be run on a browser or installed as a MacOS or Windows app. The iOS and Android billing app can also be used on smartphones and tablets. Restauranteurs can integrate online orders with the billing software so they can manage both online and in-store orders using one single, convenient system. Are you a small business which relies on a POS system to streamline payments and other management operations? We’d love to hear your experiences of POS systems for small businesses. Wow. There are so many POS systems you can use nowadays. But in some countries, there seems to be a monopoly of one type of POS and the same is installed all across different stores. I’m using livepos in my retail chain and it is a great system. I have been using it for a couple of years now. Their features are very helpful. Livepos is one of the best pos systems. I’ve been using it for a couple of years now and they proved it by helping my business to grow. I’ve been using livepos for years now. This system proved that they are one of the best systems. Livepos is the best! This system helped me a lot to manage my business smoothly. It also helped me to grow my business quickly more than I imagined. Livepos is a reliable and comfortable system to use. It helps my business to grow quickly. I made a decision to choose livepos because they are trusty and one of the outstanding point of sale. Livepos is one of the best pos systems out there. I’ve been using it for a couple of years now. One of the best and reliable point of sale system is livepos. It has been my pos in my retail store for a couple of years now. It’s very helpful for me. Livepos system has been part of my business for a couple of years now. I like their features like live inventory and detailed sales report. Livepos features like detailed sales report and inventory management are very helpful for me. It’s a reliable system and user-friendly. Livepos is one of the pos systems that has great features and gives awesome service. They satisfy the needs of my business and it helps me work smoothly. After being a customer of lavu for almost 3 years, we have had enough. We are a small business selling less that 20 items & no more than 5 employees. lavu pos had problems from day one that caused hours of time on the phone with lavu trying to fix issues to make it run smoothly. We never got to a point where our issues were resolved. One correction would cause another problem. First, we believed them when they stated that their pos would be great for our shop. Slowly we saw that system was not set to be able to accommodate our needs. Each issue would wind up taking weeks, months, or never being corrected. For the first two years we put up with the multiple hour long phone calls, emails, & facetime to walk them through each issue/ resolve. It just became too much of our time taken away from the business. BE AWARE OF THERE CUSTOMER SERVICE. They will make appointments to call and help you. Then, never call. You have to call them! Each time you call customer service you have to wait 20 minutes to speak to someone and then explain what the problem is. Even if you already called about it, you are now speaking with a different customer service person & you have to fill them in on what is going on, who you spoke with.. so on and so forth. So, even checking on a status of a problem would be at least a 45 minute call. Example- One problem NEVER corrected in the 3 years of being a customer, 50% discount button. Seems simple. But, every time we would have to hand enter it. It never worked. Another is they had no resolve for satisfying local laws about what needs to be printed on a receipt. They would reconfigure some thing that would cause another problem. Example- They modified our happy hour so correct pricing would show on the receipt. Then in us using it, the pos was taking a discount off the discount. Another example they had problems syncing the merchant cc company with their app. Customers were not getting charged or would get a double charge. Causing us to have to take a loss in sales. Lavu refused to pay the difference. Saying it was our fault. Over the last few months they have shifted their company from a small business to a corporation that does not care about their individual customers. They changed the structure of their billing. Taking away service and features. But, raised our rates. Lavu changed their policy of helping a customer to blaming the customer. Saying there was nothing they could do. BEAWARE- lavu has an extreme record of lying and blaming the customer. Nothing is ever their error. Also, your time is of no concern to them. They have no problem telling you to go somewhere else. We finally did and are glad to not have this stress of a failing pos system with awful customer service. If you are looking for a new pos, continue your search beyond lavu. Were easy and our software is fantastic. You can even contact our existing customers to ask them how they like the software and how our customer service has been. Yes, we are old school, we answer the phone. Doesn’t get any better than that. As a startup business, I asked for advice what pos I should use. They recommend livepos. It’s such a big help for my retail store to grow. I use livepos in my store for years now and it gives amazing features that I can use in running my business. If you are needing a POS system catered for beer, wine, or liquor retailers, mPower Beverage Software is a great option! We’ve been using livepos for a couple of years now in our retail store. Their features really helped a lot in making my business successful. I didn’t know that POS items are particularly important for a business to have so that payments can be made efficiently. I like how you said that it can make one’s company look more professional as well. If someone with a small business was looking into point of sale equipment to prove that they are legitimate, I would think that they would keep your tips in mind. We had Square and I will NEVER deal with them or one of their sub companies ever again. Everything is great with software but when you need service you are screwed. We literally had our card processing account permanently deactivated without a even a heads up right before business rush hour. They simply sent an email saying we were “high risk” (we sell vitamins/supplements) and that was the end of it. No explanation or anything. We tried calling a support line which could only be done with a custom code linking our account and just got an automated response saying to reference the email sent and sent you to the main menu. Don’t ever deal with Square as this may happen to you the same way it happen to countless other accounts like myself. Stick with a brand that provides a HUMAN rather than a robot. This is a nice tip, thanks. Very organized and well reviewed list of POS systems. One you might consider reviewing and adding to the list is Harbortouch Echo. It’s a great entry point small business POS for $29 a month. There is no upfront cost for the systems, which is a pro. The main con is it does require a 3 year merchant agreement. Anyway, great stuff. Smartwerks should also be included on this list. It’s includes a simple POS, inventory management tools, and tons of reports to help you analyze your business. Their extensive Customer Engagement offerings (WiFi & Mobile Marketing) really help you connect with your customers. It is amazing that we now have so many options. Point of sale will always be essential in retail businesses. Your list was very helpful for our business. We ended up going with TouchBistro based on the suggestion and we really like it. So thank you!